Want to have a decent feed, without breaking the bank? Well, sometimes it seems here on the Coast that can be a tricky thing to do. But the key is, you just need to know where to look. Wave goodbye to lavish menus, flashy interiors and impeccable views for now, because we know you’re after a cheap, good feed. 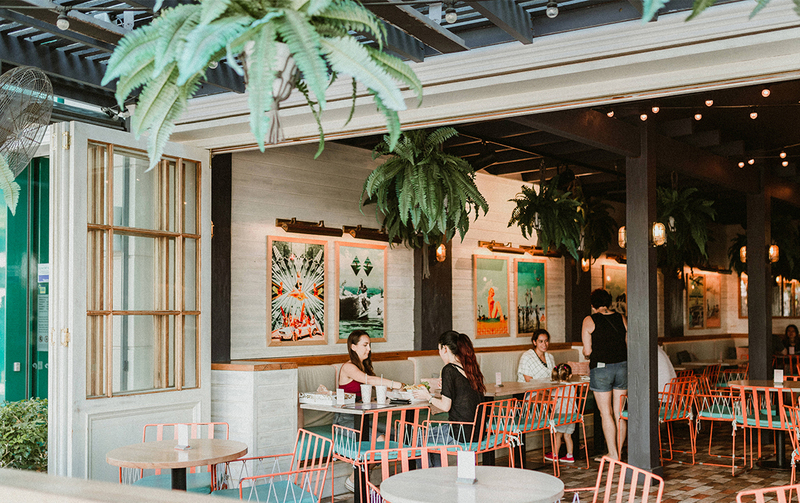 To help you in your mission, we’ve rounded up the best cheap restaurants on the Gold Coast so you can still dine out and maybe even treat your date or best mate. You’re welcome! Flavours straight from the heart of Japan… and prices that won’t clean out the wallet! 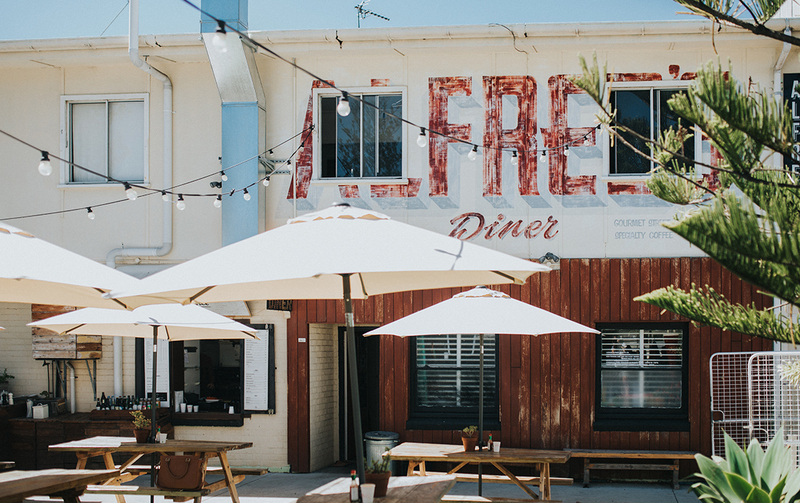 By day, this quaint Currumbin gem serves as a tiny ‘dine in’ or quick ‘grab and go’ eatery for workers and locals, but night is where the magic happens. The dim atmosphere at Zipang Japanese, BYO aspect (heck-yes!) and cool tunes draw in folk from near and far. Try the four-way oyster platter or even the decadent sashimi - without costing the Earth! Our Nobby and Palm Beach favourite really do know how to win over our hearts. And with a recently updated menu, what a perfect excuse to wine and dine! With weekly specials and darn-good feeds, Hachi Japanese will be you’re new cheap-eats hotspot, for sure. We all know Alfred’s from their laid-back diner-barber-retail set up (and top-notch coffee). But if you haven’t checked out their Thursday night special, you’re really missing out. Forget fancy dinner plans, grab a burrito and a tinnie for just $12. That’s less than the price of your next Acai bowl - swoon! Sashimi wonderland, and for incredibly low prices! Hit up Itoshin Japanese, Mermaid Beach’s cheap and cheerful favourite. Now you won’t have to sell your right arm for a slice of your favourite sashimi grade salmon. Definitely one of the Coast’s best bargains - we vote yes! Keep an eye out for the long line of CBD workers in Southport and you’ll fine Le Star. This joint is dishing out Middle Eastern-style burgers by the hundreds, and they’re darn good, that’s for sure! If you haven’t been to Muso Ramen, you’re really missing out (ramen is life). 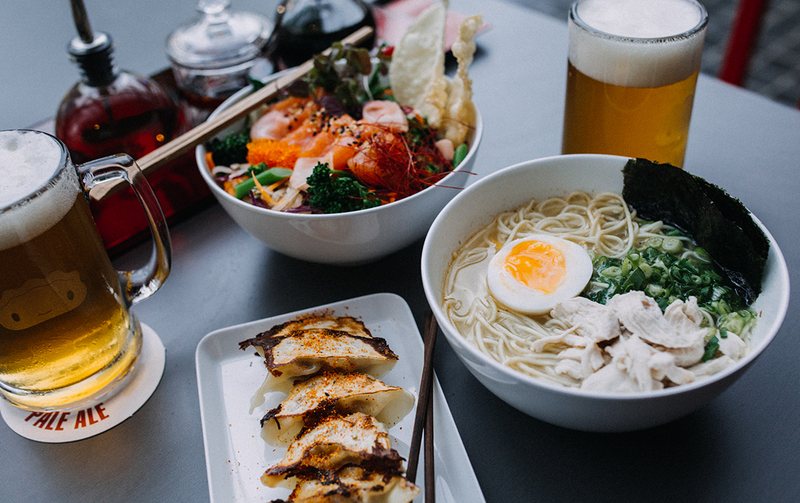 Try their incredible ramen, a bowl simply bursting-with-flavour that we can guarantee you’ll be hooked on. And the best part? These babies sell for less than $15. Holla! Effortlessly cool with some seriously cheap, flavoursome eats… enter, Harajuku Gyoza. New to the Gold Coast in 2017, Harajuku Gyoza has already had some serious impact and gaining quite the following. Try their handmade gyoza or if you’ve got a sweet tooth the addictive salted caramel gyoza—you seriously won’t regret it. For Miami locals, this seriously cheap Gold Coast restaurant is a hangover go-to. Think burgers, hot wings, Mexican bowls and thick shakes and all for around $14 to $15 a pop. The Good Wolf is perfect for a cheap feed and one that really hits the spot. We all know Betty’s from their decadent burgers and signature concrete mixes, and it’s fair to say they really are one of the best bargain eateries on the Coast. For a decent feed, head to one of three Betty’s Burger joints to satisfy those carb-loaded cravings, all for $15 to $19 a meal. Want decent Italian on the Gold Coast but can’t afford to take out a loan? Never fear, Vapiano in Surfers has your back. With a design-it-yourself pasta option and tons of favourites for everyone, Italian has never been better (and without the high price tag). Yes, please! Around the northern Gold Coast hunting for a good feed? Head to Maruya to satisfy your belly and your wallet. From gyoza, sashimi, Wagyu beef tataki, crispy tempura and more, we think they’ll have you covered as one of the Gold Coast’s best cheap restaurants. After a falafel-packed feed to satisfy your cravings? Head down to The Pocket in Burleigh for one of their out-of-this-world Middle Eastern feeds and low prices at that! Think falafel wraps, salads and plates of all sorts. Cheap and cheerful, we say. Cha Cha Japanese is homely, extraordinary cuisine and it’s BYO, baby! Head there before a night out in Broadbeach like a local, or even with the fam for a good feed. Hot tip: you can’t go past their mouth-watering steak don for a cool $20. Vegans and vegetarians, listen up! Govinda’s has you covered, with lunch and dinner options from $11-$20 a pop. Try out the kofta balls, cauliflower pakora or even the vegetarian lasagne. And, of course, the salads are a must! Aside from a few wild nights at the ol’ Apres Surf, we say you can’t go without trying their weekly specials. That’s $5 cheeseburgers on Mondays, $1 dumplings on Thursdays, 50-cent wings on Fridays (5pm to 7pm) and $10 parmy with chips on Sundays. Need we say more? There’s no need for the flight to Thailand when Siam Orchid is here on the Coast! By far one of the cheapest Thai restaurants around (and the cutest setting ever), wine and dine on your next outing for dirt cheap. And did we mention - no corkage BYO! Taboon, a Varsity and Robina favourite, and Middle-Eastern goodness for all! By far one the fanciest cheap eats on the Gold Coast, head to Taboon for a meal packed with foreign flavour, or order it on Uber Eats straight from the comfort of your bed. Heaven! Vegetarians mark this eatery as a must do. Easy House Yum Cha might look unassuming, but their Chinese menu is not. At lunch except dumplings and spring rolls galore while dinner takes things to the next level with noodles, hot pots and “pork” buns so moreish you’ll be convinced there’s real meat in there. And even better, it’s another BYO. On the hunt for more super deals from the best cheap restaurants on the Gold Coast? This list should keep you going, oh, for the rest of the year.